When I booked my trip to South Africa going on a safari and Great White shark cage diving were at the top of my to do list! 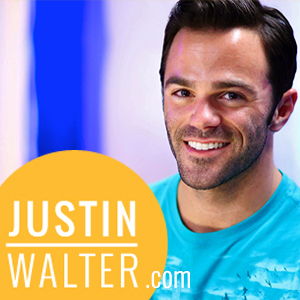 My love for sharks is relatively new: over the past three summers I’ve worked on Discovery Channel’s Shark Week. 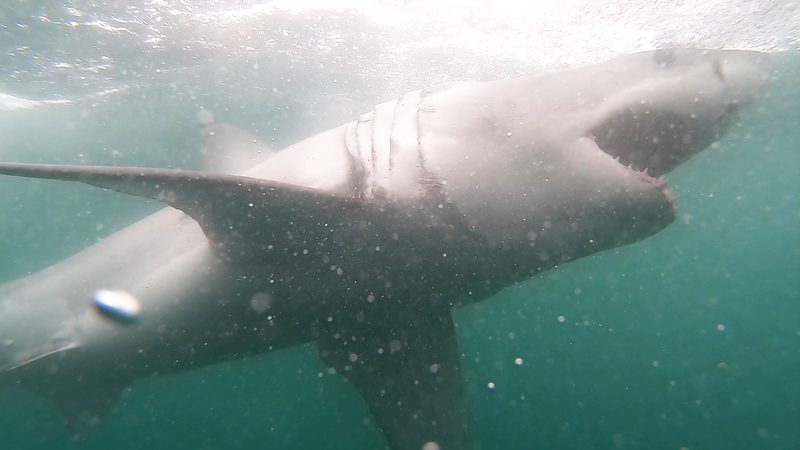 A lot of the shark documentaries film off the coast of South Africa so I was ready for my own Great White adventure. 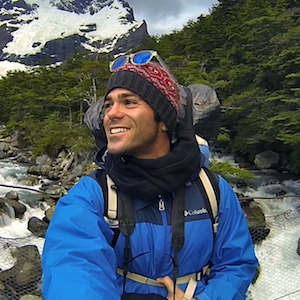 I hit up Shark Week and wildlife filmmaker Andy Casagrande for some advice. 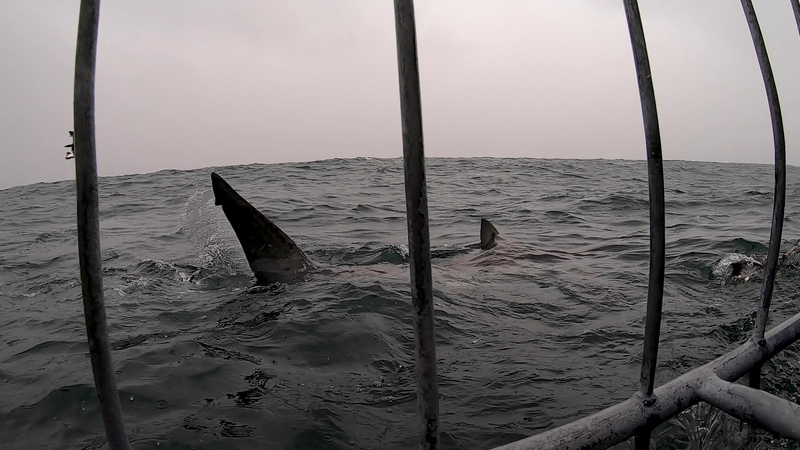 He advised me to go to Mossel Bay and to dive with White Shark Africa. A few intros and emails later, White Shark Africa offered to make my Great White dreams come true. 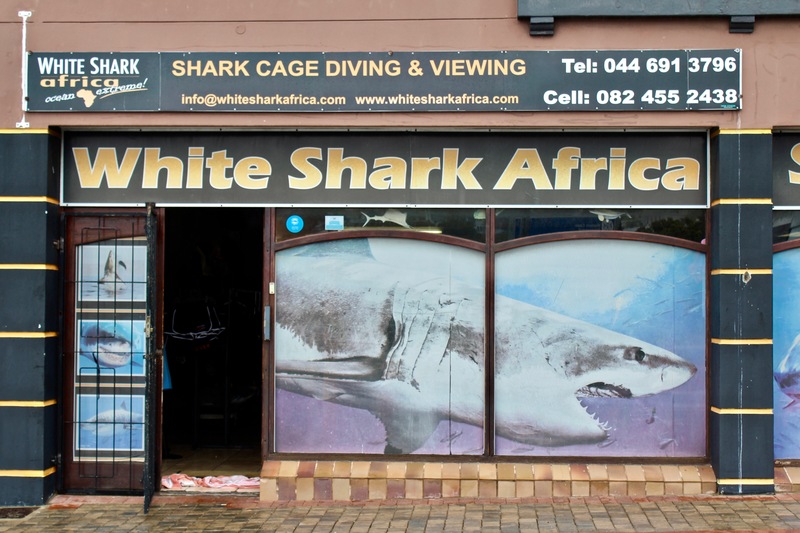 White Shark Africa is located in Mossel Bay. 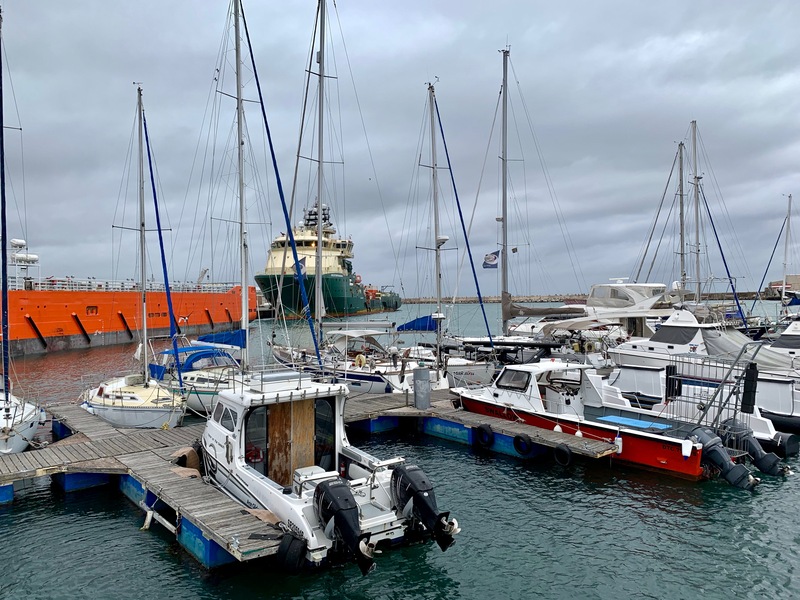 This small industrial harbor town is halfway between Cape Town and Port Elizabeth, roughly a four hour drive each way. 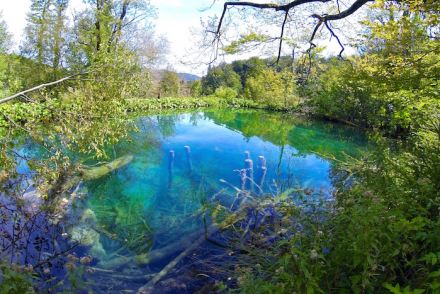 It’s also located along South Africa’s famous Garden Route. In one day I drove from Plettenberg Bay to Mossel Bay with stops in Knysna, Wilderness and George. In Wilderness I made friends with Kester, a 22-year-old bartender who lit up telling me he always wanted to dive with Great Whites when he could afford it one day. I had a +1 for my Great White shark cage diving so after my flight of beer I tipped him with an invite to join! 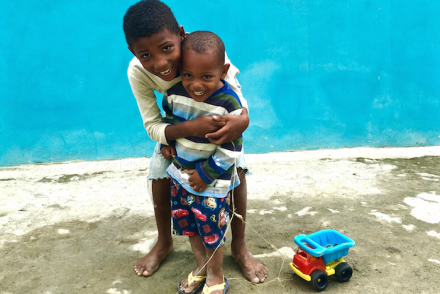 He thought I was joking and was the perfect person to surprise with a random act of kindness. 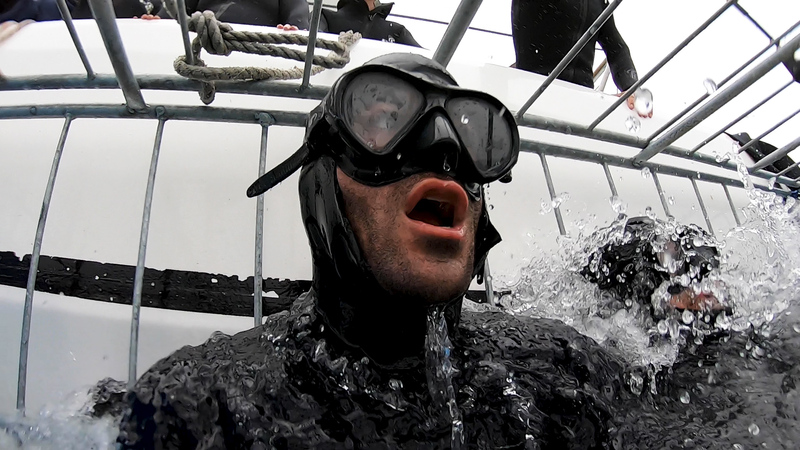 Going to bed the night before cage diving was like being a kid on Christmas Eve… I barely slept! Tossing and turning all night with excitement, I was ecstatic when alarm went off at 5AM. 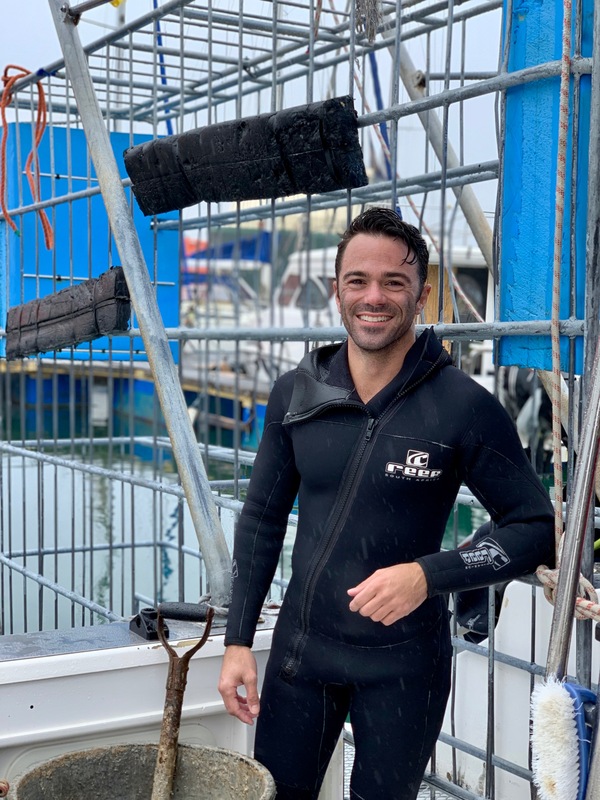 It was MY turn for Great White shark cage diving. 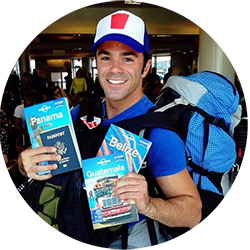 MY real life Shark Week adventure! An estimated 100 million sharks are killed annually (mostly due to finning for shark fin soup, a “delicacy” in Asia that has no nutritional value or taste. Sharks are not “man-eaters” – most attacks are known as an investigative bite where the shark is checking to see if it’s food. On average, there are 6 deaths by shark a year worldwide. 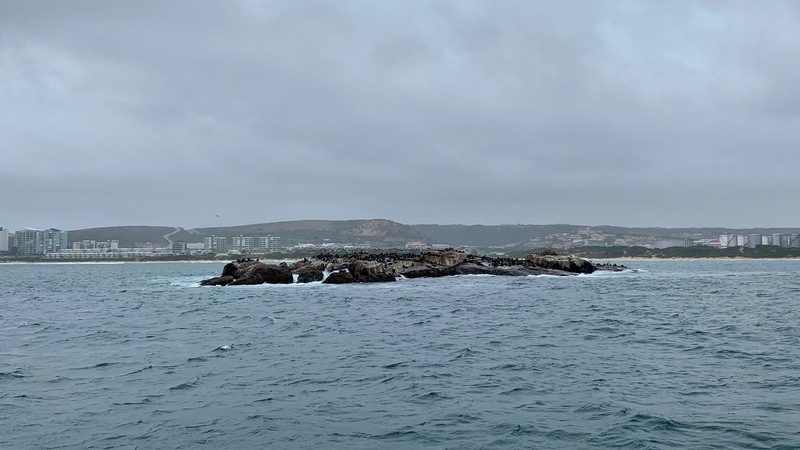 Seal Island, the site of the shark cage diving tour, is a breeding ground for Cape Fur Seals which attracts Great Whites. 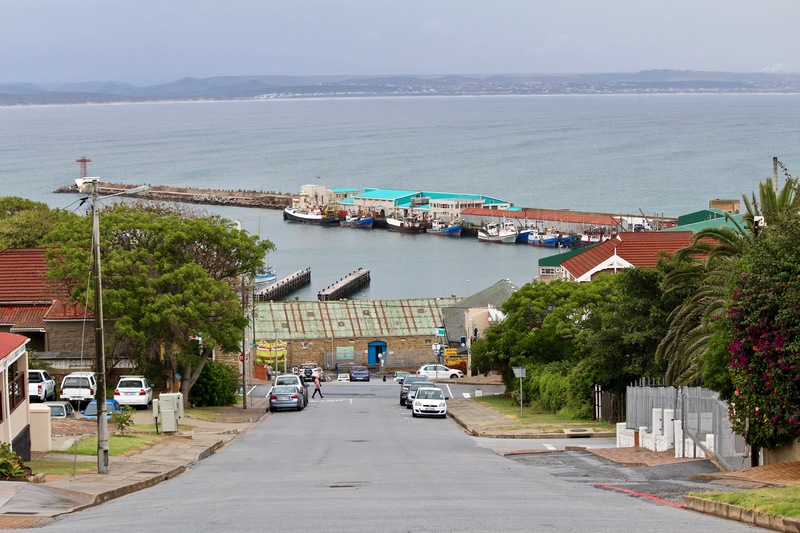 Mossel Bay is one of the easiest and most accessible spots in the world to see Great Whites. It takes less than 10 minutes to walk to the boat and then less than 10 minutes to boat to the shark cage diving site. When the boat arrives near Seal Beach the staff uses bait and chum to attract sharks. White Shark Africa only uses natural marine products. It can take minutes or hours for sharks to arrive. During my trip, it only took minutes! 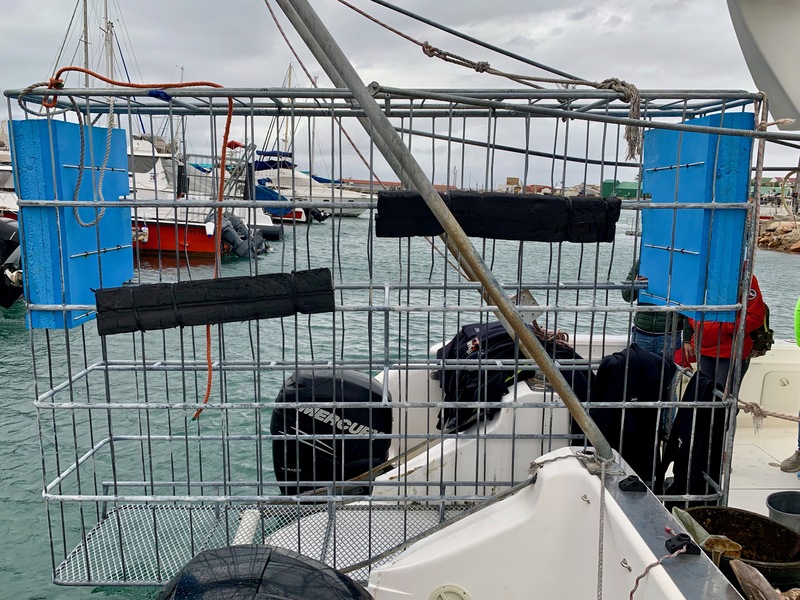 As soon as the first Great White was spotted a group of us threw on provided wetsuits and hopped into the cage that’s attached to the side of the boat. 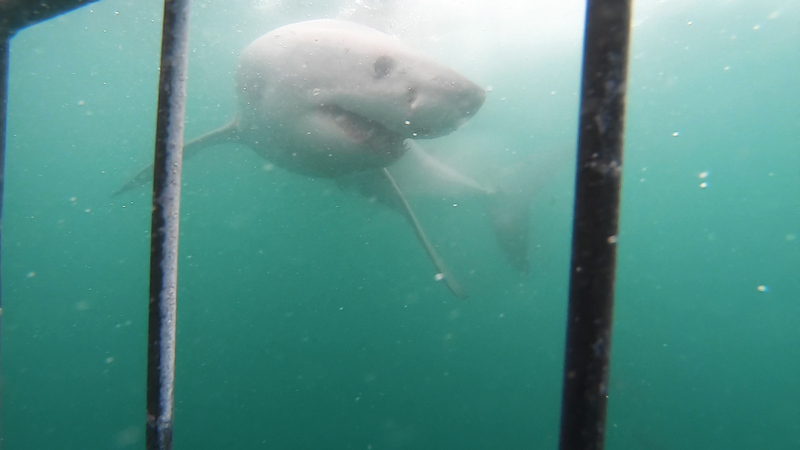 Shark cage diving trips with White Shark Africa typically last around four hours. 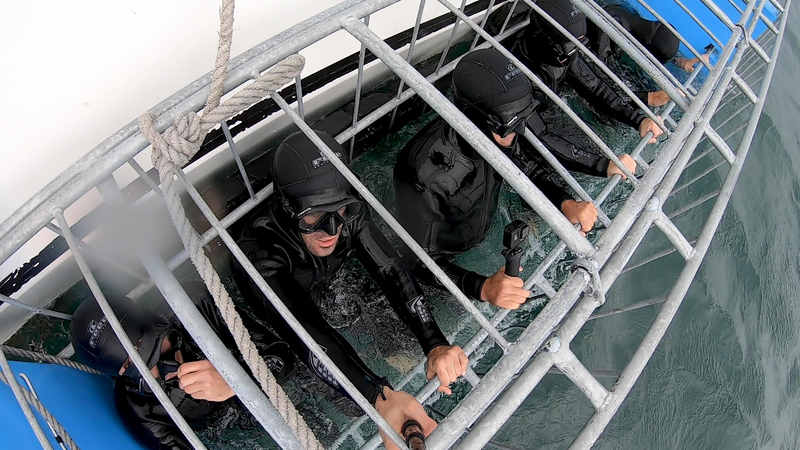 Divers are not in the cage the entire time. As groups of divers rotate in and out, it’s just as exciting (if not more) watching the Great Whites from above the water on the boat. 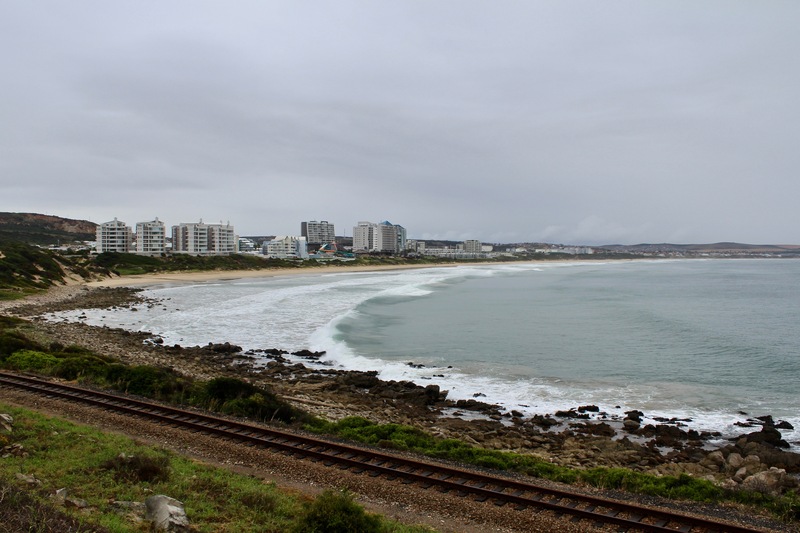 During my time in Mossel Bay I stayed in an AirBnB. If you’re looking for a spacious, budget friendly option with friendly and helpful hosts I definitely recommend Morne’s flat. 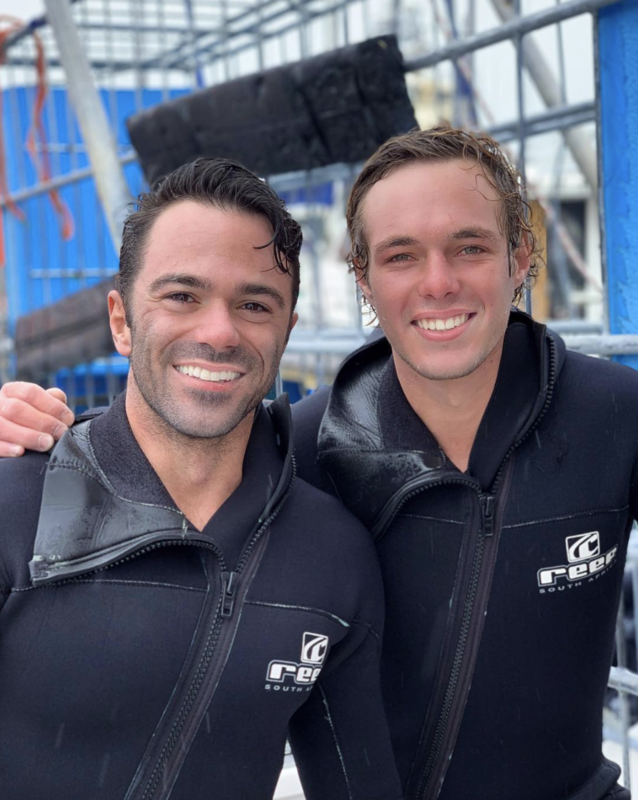 Great White shark cage diving was a dream come true. Getting in the water so close to Great Whites is mind blowing! These apex predators are breathtaking and beautiful. Was I scared? No. 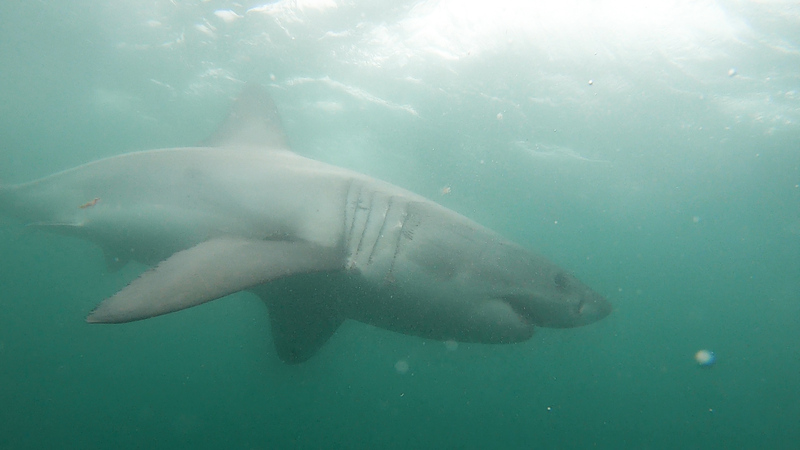 White Shark Africa does an incredible job making sure everyone is completely safe and that the sharks aren’t harmed. They truly give divers their own Shark Week experience. It’s their hope (and mine) that experiences like these, coupled with education, inspire humans to take take more responsibility in making sure these gorgeous creatures don’t become extinct. 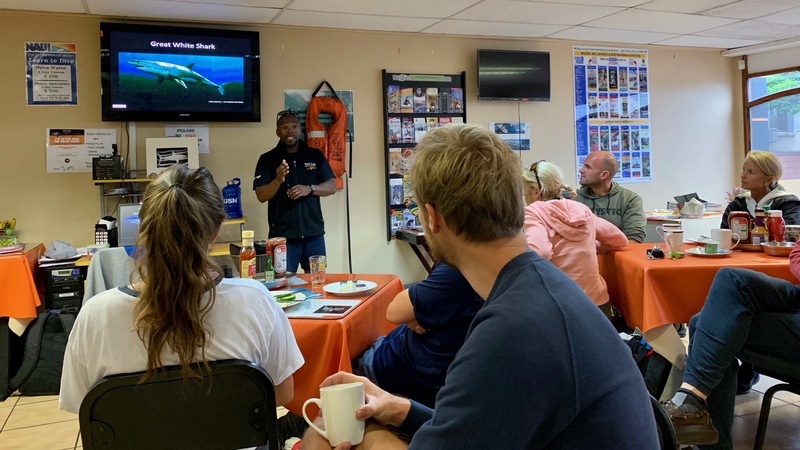 For another shark cage diving experience close to Cape Town you can also check out Marine Dynamics.